Overview As far as portable backup batteries are concerned the myCharge Portable Power Bank 6000 is the mother of all your options. 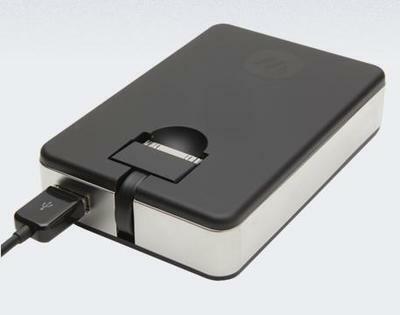 The 6000mAh battery comes packing enough juice to charge the average smartphone four times, and the battery has a built-in mini-USB, micro-USB, and 30-pin connector so you can charge virtally any mobile device you might own without having to tote around any extra cables. Advantages I recently drove across the country in a rental car. Much to my dismay, the cigarette lighters in the vehicle had been disabled, which meant I could only get so far using my phone as a GPS before I would have to stop and charge up. The myCharge Portable Power Bank 6000 was invaluable during that trip, simply because I could charge it up at night when I stopped, and know I'd have enough juice to keep me going until I got to wherever I decided to end up for the night. MyCharge claims the Power Bank can give you an astounding 24 hours of additional talk time, 34 more hours of watching videos, or 137 hours of tunes. Being able to hook up multiple devices to the MyCharge is also pretty huge. I was actually given a review unit of the Power Bank at CES in January, and one evening had my phone along with the phones of several other mobile bloggers connected to the battery while at an event. Being able to all share the same battery was pretty awesome. 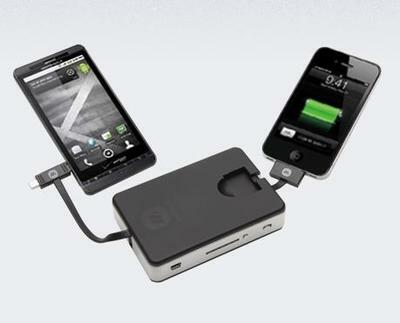 Disadvantages While being able to hook up multiple devices to the Power Bank 6000 is huge, so is the battery. This isn't something you're going to throw in a purse or pocket and forget about, and depending on your pants choices you may be hard-pressed to find a pocket that the battery will fit in. The size has a lot to do with how much juice is available in the battery, and how many connectors you have available for it. While it's certainly a bit hefty, it's also kind of worth it. Conclusion The myCharge Power Bank 6000 s perfect for anyone who totes around multiple device, and wants an easy way to charge them all on-the-go without having to carry around an assortment of cables or chargers. While the battery is a bit bulky, it's not too bulky to keep in a bookbag or large purse when you know you'll be away from power for a while and want to make sure your gadgets keep going.